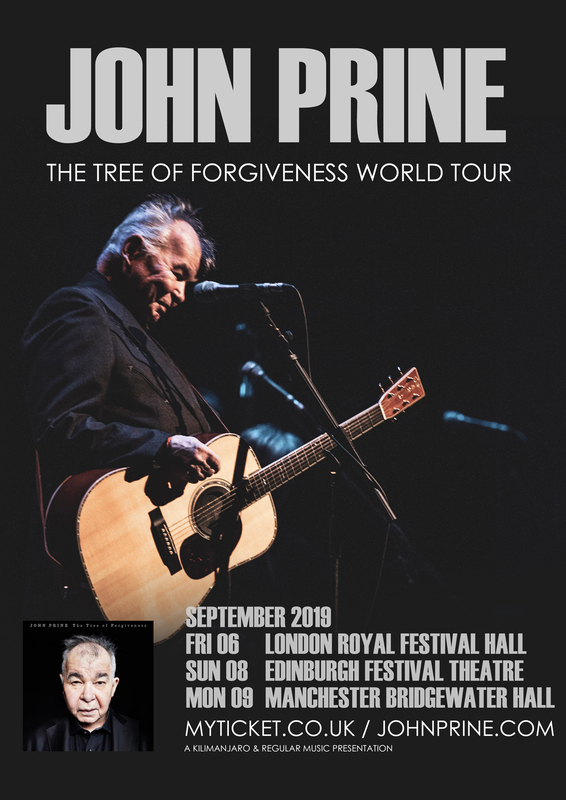 A two-time Grammy-winner, John Prine is among the English language’s premier phrase-turners. Almost 50 years into a remarkable career that has drawn effusive praise from Bob Dylan, Kris Kristofferson, Bonnie Raitt, Roger Waters, Tom Petty, Bruce Springsteen and others who would know, Prine is a smiling, shuf?ing force for good. He is a 2019 Rock & Roll Hall of Fame & Songwriter’s Hall of Fame nominee, a Nashville Songwriters Hall of Fame member and a PEN New England Lyrics Award recipient whose classic debut album, simply titled John Prine, is recognized as part of the Recording Academy’s Grammy Hall of Fame and whose songs have been recorded by Johnny Cash, Carly Simon, Bette Midler, Bonnie Raitt, Norah Jones, George Strait, Miranda Lambert, Zac BrownBand and many others.